Want to buy the Lumie BodyClock Active 250? There is a lot to like about the Lumie BodyClock Active, it is just a shame it is so pricey. If you decide you want to get the Lumie BodyClock Active, see where you can get the best price. 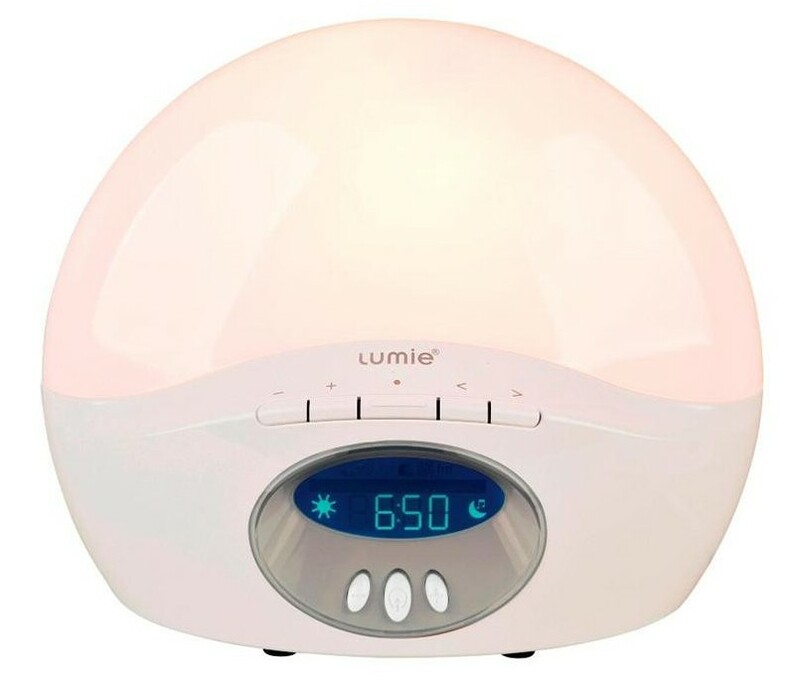 The Lumie BodyClock Active 250 is a dawn simulator alarm clock that wakes you with a sunrise that gradually brightens over a preset period of 15, 20, 30, 45, 60 or 90 minutes. You can set one of six noises to sound when the light reaches maximum brightness. These sounds are: morning chorus birds, rooster, waves, alarm beep, white noise and FM radio and they will gradually increase in sound. If you don’t want to get up there is a nine minute snooze function you can operate. At the opposite end of the day you can also use a sunset feature to help you naturally unwind and fall to sleep. You can again set the duration you want the light to dim over to a period of 15, 20, 30, 45, 60 or 90 minutes. You can also play any of the noises to lull you to sleep as well. When the alarm is on the time display will turn off completely and the Lumie BodyClock Active 250 also has a security option that turns the light on whilst you are away. Note this model works only on 24 hour military time. The unit has a power failure back up that saves all your settings if you lose power and there is also the option to have the light coming on only with no sound. Thirty minutes after the set alarm time the light and sound will automatically turn off. The Lumie BodyClock has a very smooth change in light, that makes the sunrise and sunset functions appear very natural and effective. There are no sudden changes in light intensity – it starts off at a soft orange color and progresses to an intense white light by which point you will probably wake up. 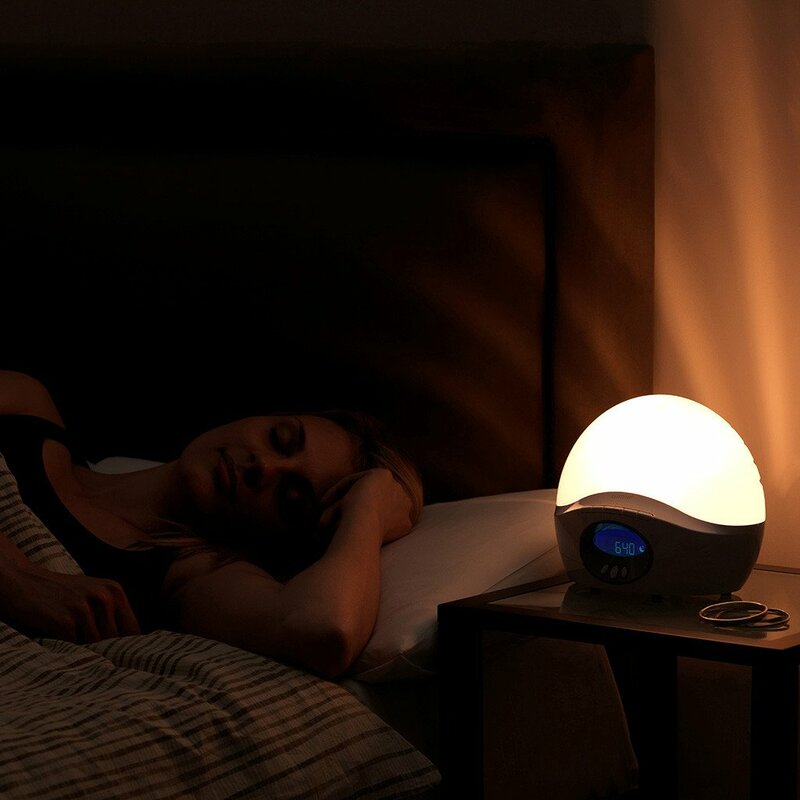 Combine the lovely sunrise with the variety of noises you can set to sound gradually when the light has come on means waking up to the Lumie BodyClock is a very gentle way to be roused – a much nicer experience than a traditional alarm clock. There are a huge amount of customizable settings on the BodyClock Active 250 that will help you get the most out of this wake up light. You can wake with just the light, light and sound, light and radio, you can set the sunrise to 15 minutes so it rises quickly or slowly at 90 minutes and you can do the same with the sunset. The wake up volume can be adjusted and there are an array of natural sounds – all of which are a huge plus. Something I particularly love is that the when you set the alarm the clock display turns off. If, like me, you are sensitive to any ambient light this is great as it means you won’t be bothered by the time display. If you do wake up in the middle of the night and want to check the time you just tap one button and it lights up the clock face for a few moments. This is an advantage over lots of the Philips Wake Up Lights on which you can’t turn the time display off completely. Another advantage the BodyClock Active 250 has over the Philips Wake Up Lights is that it has a battery backup. So if you suffer a power outage your settings will be saved and the alarm will still sound. Talking of saving settings – once you have set your alarm all of the settings will be saved, ie noises, dim times, time you want full brightness, etc. Then the next night it is just a case of pressing one button and the alarm is back on again. The main problem with this Lumie device is that the controls are not intuitive – even with the instructions it can be difficult to get it set up, for instance there are a lot of buttons to push to get the alarm settings configured. The controls are small and have no word markings either, so if your eye sight is poor you will struggle. It isn’t the easy device to operate. 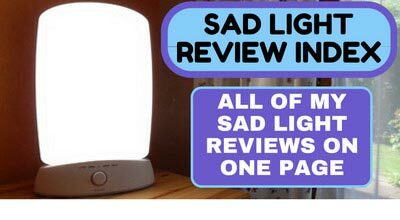 A lot of users have also reported problems with the bulbs burning out, in some cases within a few weeks of receiving it, or the unit just stopping working for no apparent reason. On the plus side Lumie are renowned for having good customer and this does have a one year warranty. Like many wake up lights, this does get hot as it uses an incandescent bulb. Just remember this if you have young children around or are thinking about placing it next to something potentially flammable! It might not be a big issue for you, and will certainly not be the reason you buy it, but the quality of the speakers is not great. Really it is fine for a radio alarm, but if you plan on listening to the radio on the Lumie for a long period of time the tinny quality of the speakers will not be appealing. This BodyClock Active operates only on military time, so if you aren’t used to that bear it in mind, you cannot switch it from 24 hour time to AM/PM. Also you must remember to turn the alarm on each night – although this isn’t a big deal and setting the alarm dims the time, so you can tell at a glance if you have set the alarm. 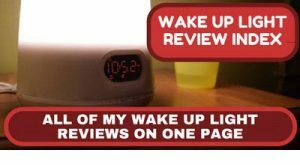 The main issue though is the price – it is quite expensive for what it is, and this loses it a few marks as there are a number of other wake up lights that offer the same or more functionality for a lower price. Aesthetically this is not as visually appealing as the Philips Wake Up Lights. It is more bulky and the plastic housing makes it appear cheaper than the Philips models. It definitely does, users report feeling more energized, less groggy and significantly more refreshed and alert in the mornings. One said it had changed their life and another, who admitted to being the complete opposite of a morning person, said it made getting out of bed not feel like such a terrible thing! 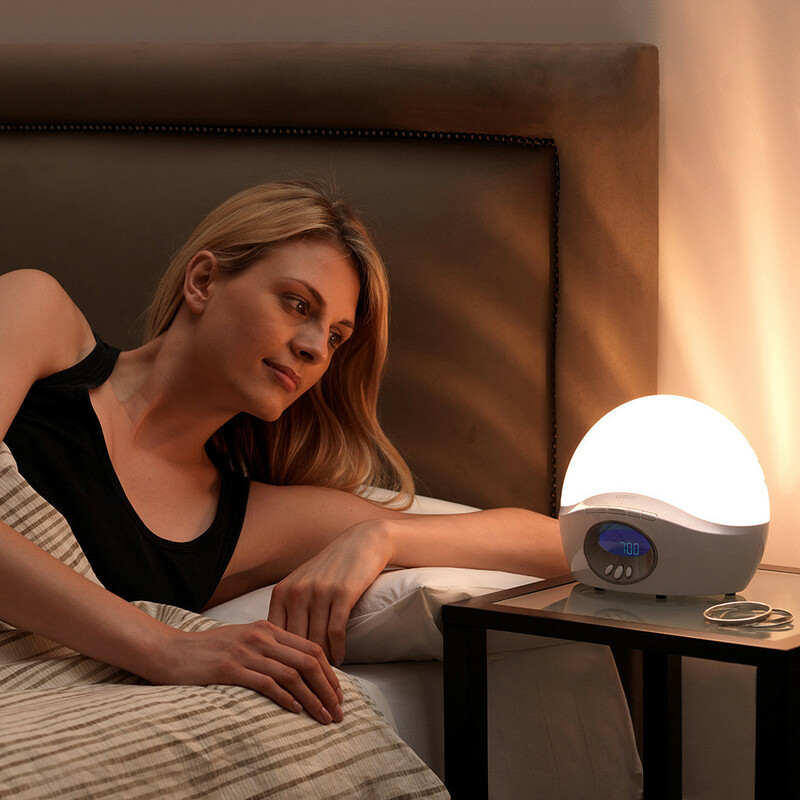 Wake up lights wake you gradually with increasing natural light. This is a signal for the body to ease production of sleep hormones (e.g. melatonin) and increase those that help you get up and go (e.g. cortisol). 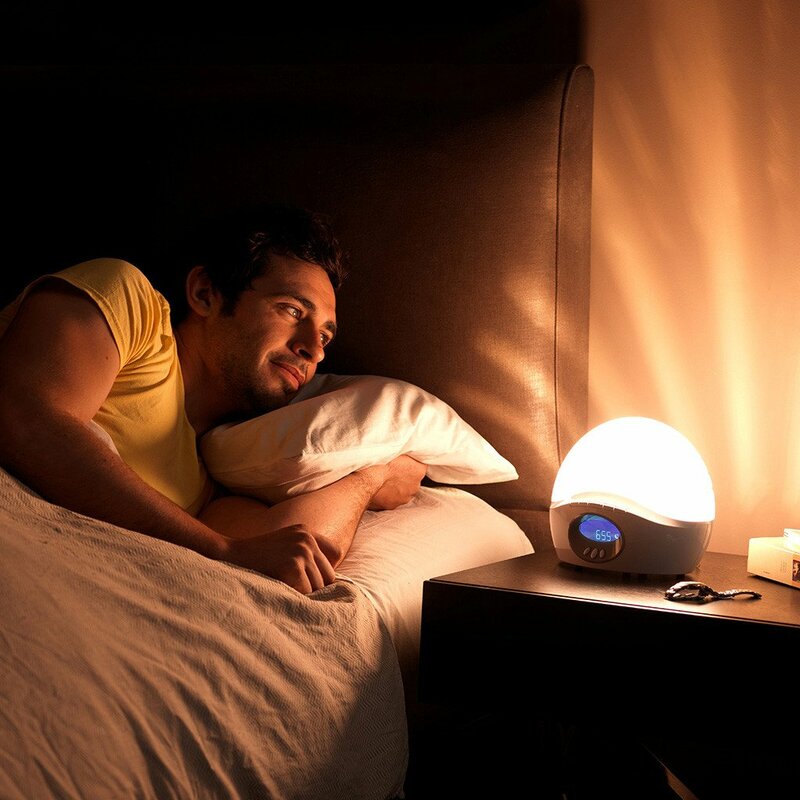 Wake-up light essentially help to keep your sleep cycle on track, boosting mood, energy and productivity levels all day. The Lumie BodyClock Active 250 has a lot going for it and in some respects the battery back-up and ability to turn off the time display completely give it a big advantage over the Philips models, in which these features are conspicuous by their absence. The sunrise is lovely and it has many customizable settings, but it is also not easy to use and the bulbs burnout. But what loses it marks is the price mark which is quite high. If you don’t mind spending out a little bit extra then you won’t be disappointed. The deal breaker here is the battery back-up and ability to dim the time display completely. If those features are essential for you then go with this model. If not, then the Philips Wake Up Light range is where you want to go. The Philips HF3520 is the one you want to go for which has the most features and a truly beautiful simulated sunrise. Kelly had to suffer the pain of moving from the West Coast of America to central England when her husband changed job! 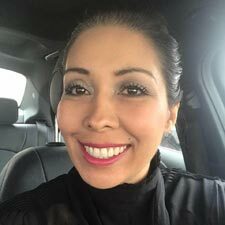 She won her battle with SAD thanks to an exercise regime and a SAD Light! 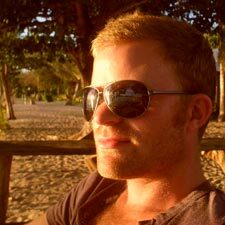 I have never heard of a lumie light but it does sound like a great invention for those who living in the big city and wants to wake up more naturally. Now, you said that the quality of the speakers are not that great to listen to the radio. Now what about the sound for the natural sounds of birds etc? Is it pretty realistic and crisp or does the speakers effect that sound too. I really would consider purchasing this but I definitely need to check out the sound quality more. Thanks for the great info. The speaker sound is ok for the natural sounds – really it affects the radio more, so if this isn’t a function you were going to use too much I wouldn’t be concerned. I really like the natural sounds this device has. But my favourite Wake-Up Light is the Philips HF3520 – it is great! This clock sounds like something people with sleep disorders and circadian rhythm disorders might want to try out to help them adjust to day and night cycles. I too think it’s a perk that the screen shuts off when you’re supposed to be sleeping because I’m one of those people that if I cant sleep, I’ll check the clock every now and then and calculate how much time I have left to sleep which just gives me more stress. I love rain, water or soft thunder sounds for falling asleep, does this clock have any of those? I so know what you mean about continually checking the clock if you can’t sleep and then getting more stressed as the time ticks away! These Wake Up Clocks certainly do help with sleep disorders and circadian rhythm disorders though. 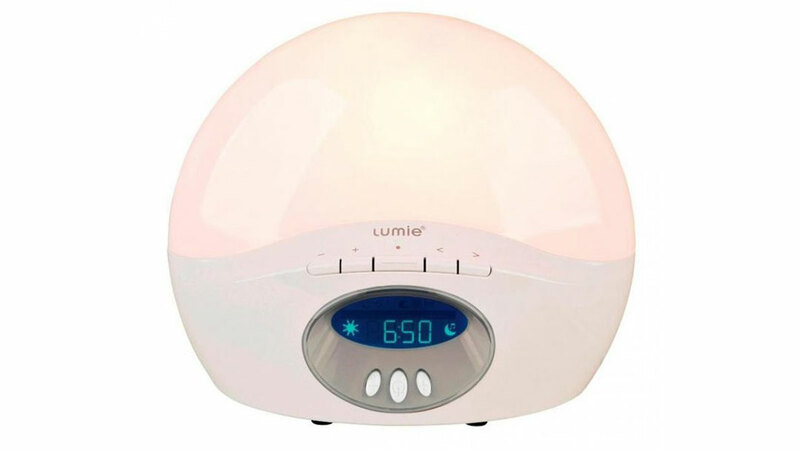 The Lumie has six sounds you can wake up to: morning chorus birds, rooster, waves, alarm beep, white noise and FM radio. It is a bit pricey though. Personally I prefer the Philips HF3520, which is just as good and cheaper.